Matthew Cain is an agent with the Specter Project. 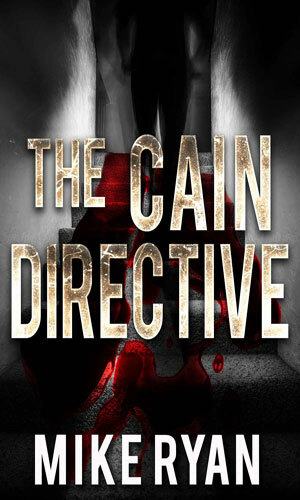 The agency for which Cain is a new agent is ultra-secret, off-the-books and very much never discussed outside of the ranks. Also known as Project Specter, it exists to handle threats to the nation as seen by the shadowy people at the top, people who in their wisdom (or best guess) decide which people in the world are probable dangers to the country and who need to be eliminated. The targets are not limited to terrorists - stand in the way of what the powers-that-be want and an agent from this small but deadly group might come to move you. 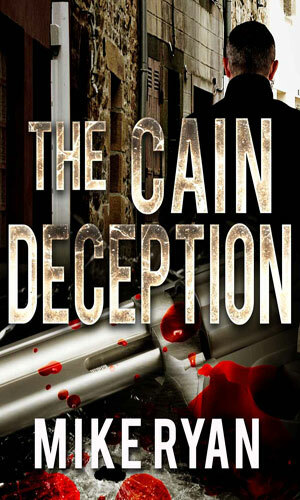 As the Director explained to Cain as he was being recruited: "We do not pay people to kill. I can get anybody to do that. I can train a monkey to do that if I wanted to. Any target that’s eliminated must be done in a way that completely exonerates the United States. The government does not officially condone or approve of these actions and cannot be implicated in any manner. If it’s discovered we’re behind some of these missions it’d be one of the worst scandals in this country’s history. Even bigger than Watergate." He further comments, "...you don’t get paid to kill. You get paid to be invisible. You get paid to scope out a target, infiltrate that target’s territory, eliminate said target, do it without your presence being noticed or compromised, and without any involvement suspected of the United States. To take it even further, your life as it stands right now will be gone. You cannot be arrested, put in jail, appear in traffic court, criminal court, divorce court, or any court. Your picture cannot appear in any newspaper. Your name won’t return any information in a computer, and your fingerprint won’t come up in any database. To put it bluntly, you…do not exist." In that regard, Matthew Cain truly does not exist. He is made up. The man who 'pretends' to be Cain was born Thomas Nelson, a ten-year soldier who was a member of the elite Delta Force and had been for several of those years. He was nicknamed 'Nails" because his colleagues all agreed he was 'tough as nails' and while he neither resented nor preened at the name, he very much deserved it. He was the one on a mission given the toughest part because he routinely did it without complaint and, even better, without failure. It was on a mission in Syria to rescue two U.S. soldiers held for ransom that an accidental slip by one of the hostages sounded the alarm and things got nasty very quickly. In the ensuing gun battle, Nelson, soon to be Cain, was shot in the head. He was medivaced to a hospital in neighboring Isreal where doctors successfully removed the bullet and tests soon revealed that his physical condition was not adversely affected. Not so his memory for he had none. He could not remember who he was or had been. Nothing. He could easily recall all sort of mundane facts but not his own history. As far as he knew, the loss was due to the injury and the surgery needed to keep him alive. What he did know was that a drug administered by Project Specter personnel greatly enhanced that memory gap. The best operatives were the ones who had nothing to hold them back - no ties that might make them hesitate and not fulfill an assignment. People with no family and no memory of ever having one were needed. If life did not provide enough agents fitting that requirement, Project Specter would help make them. Nelson, renamed Cain, did not know this when he was offered a position with the Project. He would, over time, start to learn. His first mission for his secret employers sends Matthew Cain to Honduras to eliminate an escaped fugitive. Arriving there he learns someone has already done the job and as he investigates he gets involved in an arms deal and a rogue agent. Matthew Cain handles an assassination in Russia but that angers someone who is out to get revenge on Cain and his girlfriend. 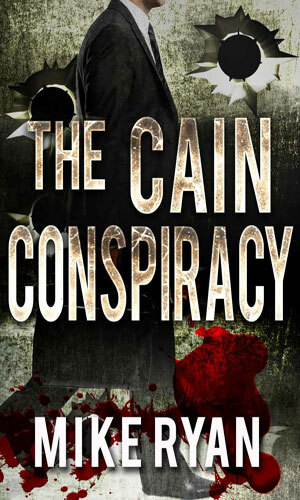 While trying to stay alive, Cain starts to wonder about who is after him as well as who Cain's bosses really are. Majorly ticked after an attack on his girlfriend, Matthew Cain is very untrusting of his bosses even as they send him into Russia to eliminate a man he has already killed. His tricky memory might be providing clues others do not want him have. This series is, in my opinion thus far, meant for those who want action, hard and heavy, with a decent amount of character development. It definitely delivers that and then some. The writing, at least in the first book which I have read, is a tad stilted and staccato-ish but not bad and not unpleasant. The characters are interesting, especially a couple of the co-stars who work for the organization. That agency starts out being intentionally suspect to the reader and does not get any better but one or two of the people working for this group obviously have mixed feelings about the goings-on. This actually made me stop in places and wonder what I would do. You are on the side of the supposed angels doing things to help the country but in doing so you are violating the very rules that the country are founded on. Necessary evil? Greater good? When do the guys in the white hats start wearing dirty gray? I will definitely read the other books in the series and more that come out.